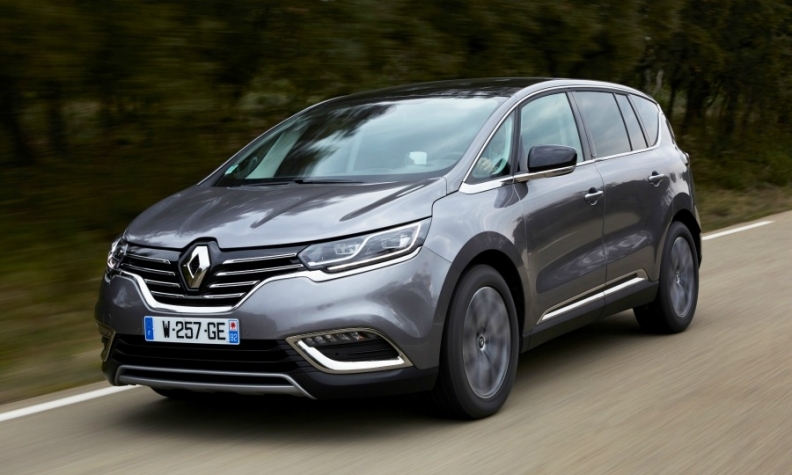 The new Renault Espace, shown, shares the CMF architecture with the Nissan Qashqai and Renault Kadjar compact SUVs. PARIS (Reuters) -- Renault and affiliate Nissan Motor Co. increased annual savings by almost one-third to 3.8 billion euros ($4.2 billion) thanks in part to new models based on a shared vehicle architecture, the carmaking alliance said today. In 2014, synergies, which include savings, additional revenues and costs avoided through cooperation, came in 32 percent above the 2.87 billion achieved the previous year, Renault-Nissan said in a statement. The automakers' first common vehicle architecture, CMF, "continues to drive synergies in all major areas, from purchasing to vehicle engineering and powertrains,” said CEO Carlos Ghosn, who heads both automakers. The CMF platform underpins new models including the latest Qashqai compact SUV from Nissan and Renault's equivalent Kadjar, as well as the updated Espace minivan. In a further integration, Ghosn last year combined Renault and Nissan's core engineering, manufacturing, purchasing and human resources functions under four newly appointed alliance vice presidents. Some 16 years after Renault took a controlling stake in Nissan -- since increased to 43.4 percent -- the carmakers are stepping up integration in areas ranging from research and development to human resources and manufacturing.